It uses the birthday countdown data so as long as that's up to date, this is... you can also combine groups, ex-groups, whatever. I stopped developing it at some point ages ago and it's a little rough layout-wise in places but should work at least. Plenty of options for generating different looking lists in the end, as well. Might still work on it at some point to add stuff. 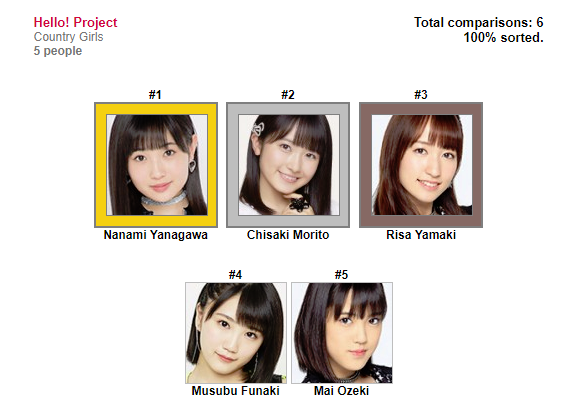 Not all that different from last time, but I guess Yanagawa and Kawamura moved up quite a bit. It's been awhile since my last one so here's an update! 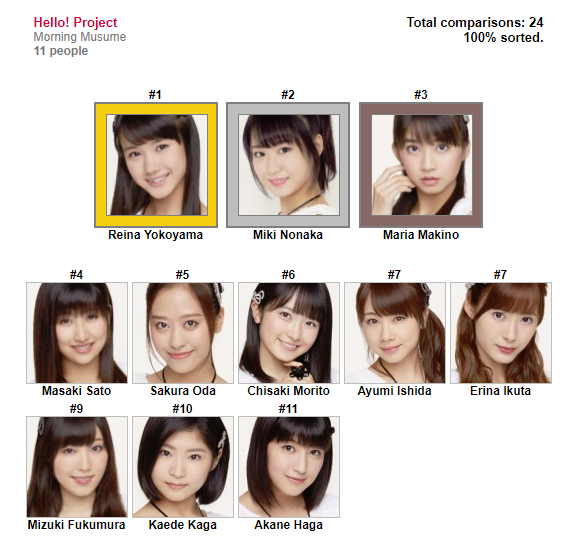 Top 10 has the same people as last time, shuffled a bit... most notably Reina finally overtook Miki as my #1, but it's a close race. 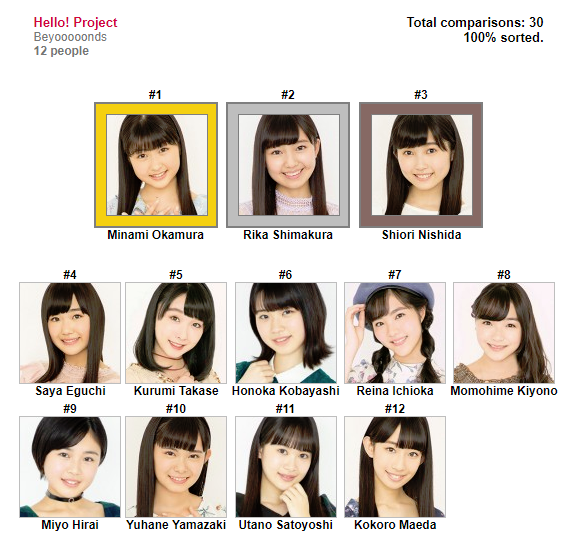 A lot of these are just pic-based votes as I'm not familiar with many of the 79 girls included. Ranks in these may vary a bit compared to the overall list because the overall list had so many moving parts. All good though. 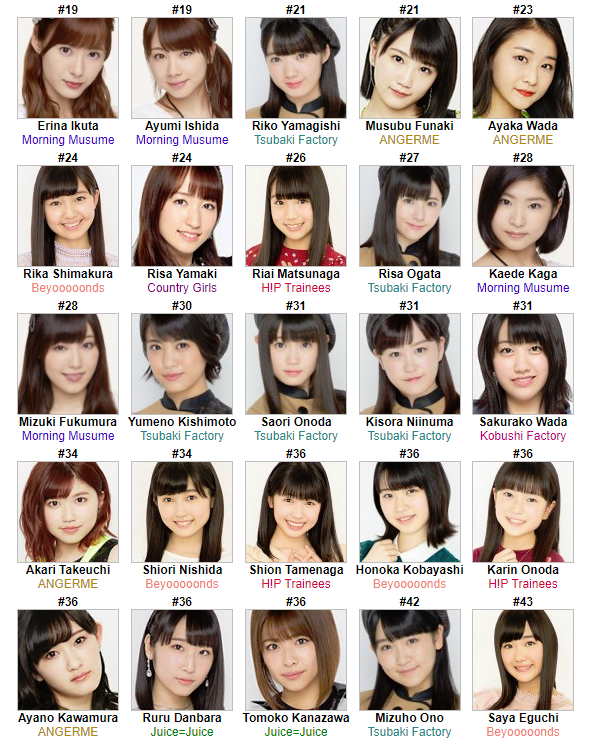 Here's my ranking, minus the KSS.